A successful high school hockey career can be measured by many factors, including landing on a career records list. After completing their senior seasons, eight players from around the state found themselves on at least one of Minnesota's career leaders lists, as did one junior. Some have matched or surpassed marks of players currently on National Hockey League rosters, including one whose assists total has him tied with Spring Lake Park's David Backes (Boston Bruins), while two others finished ahead of the points total set by Eden Prairie's Casey Mittelstadt (Buffalo Sabres). Another overtook Warroad's Brock Nelson (New York Islanders) on the career goals list. Some of these players had breakout senior seasons while others had steady high school careers, but all now have the distinction of being among the best to play the game in Minnesota high school history. Click here to see a list of Minnesota's high school career marks. The only senior defenseman to make his way onto a career record list this year, Koster had his second consecutive season with at least 40 assists and 55 points. The Mr. Hockey finalist averaged 2.46 points per game and finished the regular season tied for the fifth-most assists in the state (40). Koster tallied at least one assist in 19 of 24 games this season, highlighted by a stretch of 15 assists in four games in the middle of the regular season. He followed that performance with a season-high five-assist game. Orr is the only player this year to find himself on three career record lists, a feat highlighted by finishing his high school career four points ahead of Mittlestadt, a former Eden Prairie standout and the 2017 Mr. Hockey award winner. 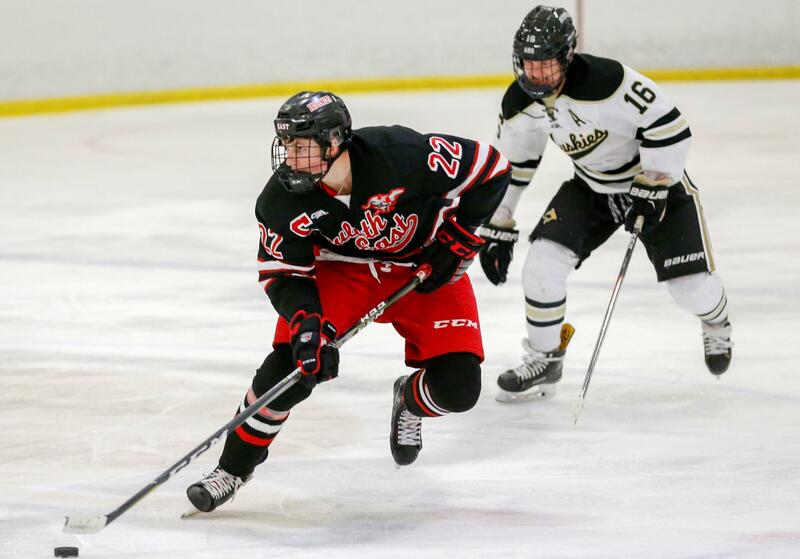 Averaging 2.96 points per game during the regular season, Orr wrapped up the regular season tied for the state lead in goals (40) and ranked third in points (71). He tallied points in all but one game this season, including the section playoffs, and posted four or more points in 11 contests. The Mr. Hockey finalist amassed 41 points (14 goals, 27 assists) during the Huskies' 22-2-1 regular season and had eight multi-assist games. He started the season with 12 points in his first four games and recorded four four-point games throughout the season. In three postseason games, Schoen contributed nine points (3 goals, 6 assists). Doherty led the Cardinals in an 18-5 regular season with 22 goals, including six game-winners, and 21 assists. He had points in 18 of 22 games, highlighted by a one-goal, five-assist effort in an 11-1 victory over Willmar on Jan. 10. 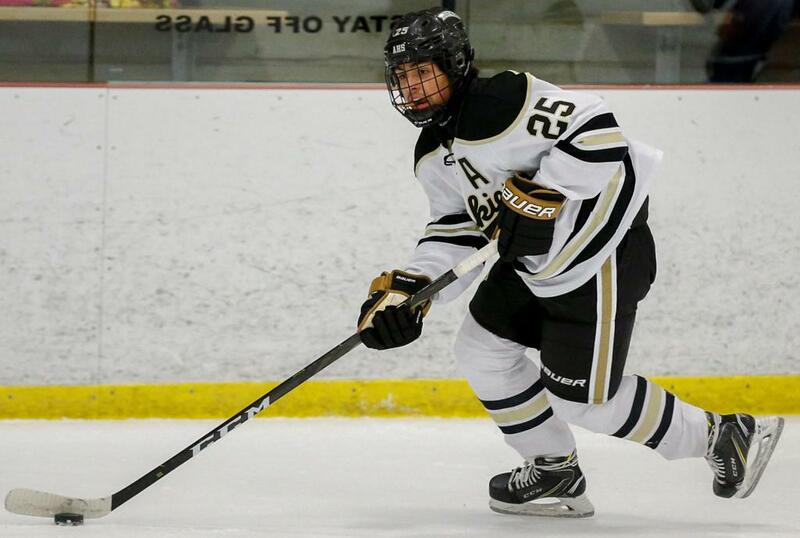 Doherty had his most productive season as a sophomore, when he tallied 19 goals and 41 assists in the regular season. Donovan produced his third straight season with at least 30 points, finishing this year with 12 goals and 25 assists. 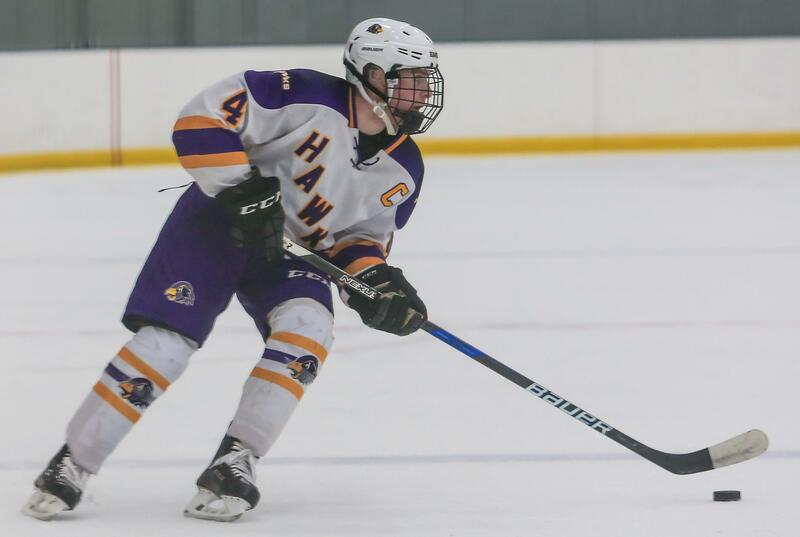 He recorded four or more points in three games and was most impressive in an 8-3 victory over Forest Lake on Jan. 22, when he set a season high with five points (1 goal, 4 assists). The Mr. Hockey finalist is tied with three others on the career assists list, including Backes. Donovan had a career year as a junior, tallying 53 points and tying for the state lead with 42 assists in the regular season. Phillips contributed at least 20 goals and 37 points in each of his four seasons playing for the Wolverines, but his best was his final year, when the senior posted 33 goals and 17 assists in the regular season. His most productive outing came in a 9-2 victory against Park Rapids on Jan. 4, as he finished with four goals and two assists. It was the second time this season he scored four goals in game and one of five contests with four or more points. Having just completed his junior year, Jensen is sure to climb the career goals list, where he is tied with Phillips and two others with 101. He should land in the top 15 with another season producing 30 or more goals, which is not out of the question despite finishing with 24 goals this year. Jensen, who has been a member of the Blades varsity since eighth grade, had 32 goals as a freshman and 31 as a sophomore. That production, along with three consecutive seasons with 16 or more assists, has also put Jensen in a position to crack the career points list. He's got 169 points and needs 31 to solidify his spot.